The National Institute for Health and Care Excellence (NICE) – the body that provides clinical guidance to the NHS – has published new guidance recommending everyone diagnosed with bowel cancer is tested for Lynch syndrome. 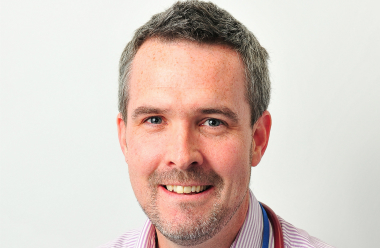 Dr Kevin Monahan, Bowel Cancer UK Medical Adviser and clinical expert on the NICE committee responsible for developing the guidance, explains what Lynch syndrome is and what the NICE recommendation means for you. Lynch syndrome is a genetic condition that can significantly increase the risk of developing bowel cancer to up to 80%, as well as increasing the risk of many other cancers such as womb and ovarian. Lynch syndrome is caused by a fault in one of your genes, which usually works to prevent you getting cancer. These genes, known as mismatch repair (MMR) genes, fix mistakes in DNA. When there is a fault in one of the MMR genes any mistakes in DNA aren’t corrected and this can lead to tumour cells developing. The test for Lynch syndrome, as described in the guidance, involves looking for changes in these genes. If this test is positive you will then be referred for full genetic testing – this involves a simple blood test and usually takes 6-8 weeks. As Lynch syndrome is an inherited condition there is a 50:50 chance of passing on the condition through generations, so whole families can be devastated by cancer. This is because everyone has two copies of the MMR gene. When you have Lynch syndrome you have one healthy copy and one faulty copy. If that person has a child there is a 50:50 chance they will pass on the faulty gene. Inheriting the faulty gene can increase your risk of developing cancer. Why testing everyone is crucial. 175,000 people are estimated to have Lynch syndrome in the UK, yet fewer than 5% are known. This has been because of a lack of testing across the UK. By testing everyone for Lynch syndrome we can ensure no one slips through the diagnostic net including potential family members who may also have the condition and be at risk of bowel cancer themselves. Once they have been identified these patients and their immediate family can be placed in a surveillance programme to receive regular colonoscopy, which is proven to reduce the risk of dying from bowel cancer by 72%. NICE estimate that over 300 bowel cancers could be prevented each year from testing everyone for Lynch syndrome. Previously only people who had a strong family history or those who were diagnosed with bowel cancer under the age of 50 were tested for Lynch syndrome. But research carried out by Bowel Cancer UK found that 30% of UK hospitals were not routinely testing people who met these criteria. Today’s guidance is a step in the right direction to identifying more people with Lynch syndrome. But we need to ensure that all hospitals have the resources and capacity to implement the NICE recommendation, so that everyone diagnosed with bowel cancer is tested for this hereditary condition. We know many hospitals have struggled to provide testing for these reasons. Furthermore, there is still much to do to improve their care once they have been diagnosed as having Lynch syndrome. It’s recommended that those with the condition have regular colonoscopy every 18 months to two years but Bowel Cancer UK found in their patient experience report that 78% of their respondents had c experienced delays of more than six weeks to their routine appointments. It is unacceptable that those at greatest risk of developing bowel cancer are kept waiting this long. That’s why Bowel Cancer UK is calling on UK Health Ministers to urgently step in and take responsibility for improving the identification and management of Lynch syndrome. Get involved in the campaign by signing their petition and become a campaign supporter to receive regular campaign updates. If you have bowel cancer and you have not yet been tested for Lynch syndrome make sure you go and ask your GP for a referral. If you have strong family history of bowel cancer, or have had bowel cancer in the past and are concerned of a genetic link make sure you go to your GP and ask for a referral to a regional genetics centre.